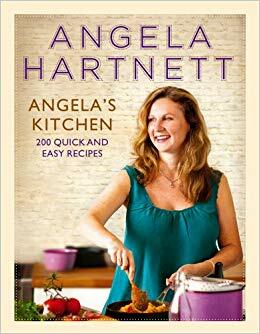 With Angela’s Kitchen, Angela Hartnett brings her informal, grounded style of cooking into our own kitchen. Drawing inspiration from her childhood experiences of accessible home cooking with her Italian grandmother, she mixes Mediterranean influences with European to create delectable recipes that are straightforward, quick and easy to make. Whether you want to cook a simple lunch or an after-work supper, Angela has a mouthwatering recipe to satisfy your needs. If you just want a snack or starter you can try a Lamb Broth with Mint, or Goat’s Curd and Lentil Salad. For main meals there are fresh twists on classic home dishes, such as Beef Stew with Butternut Squash and Red Onions – and some traditional Italian recipes including Sausage Rigatoni and Fennel. Those with a sweet tooth can indulge in Ginger and Passion Fruit Trifle or Chocolate Pecan Tart. With mouthwatering photography by Jonathan Lovekin, this is, simply put, an indispensable addition to any home cooking enthusiast’s shelves.